We’ve all been there. It starts with a handful of trail mix, moves to a few chips, and the next thing you know, you’re staring at the bottom of a carton of ice cream sick, out of control, and feeling like you’ve just sabotaged yourself. It’s not just you! If you feel like this is what’s standing between you and your healthy lifestyle, here’s how to handle stress eating. Sometimes it happens after you get an angry email from your boss, or maybe your to-do list is longer than your arm. Whatever the cause, cookie dough and chips are right there when you need an escape, even for just a moment. You know what it is: stress eating. Stress eating—sometimes called emotional eating—is what happens we reach for food not out of physical hunger, but to escape, suppress, or distract ourselves from the stresses we can’t get away from in our everyday lives. It’s 100% normal to seek relief when we’re overwhelmed and want to disconnect from the moment, but this habit isn’t helpful. 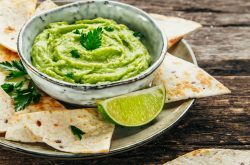 Stress eating can be brought on by big changes and events in your life, but it’s most often a coping mechanism for handling everyday stressors. 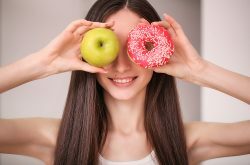 Like anything, indulging every once in a while isn’t going to derail a month’s worth of healthy habits but it can become a problem when you find yourself heading to the kitchen every time things get a little crazy. Whatever the emotion is that drives you to the cupboard, reaching for food to solve the problem often leads to the same result: temporary relief, the quick return of the emotions you wanted to escape in the first place, and guilt over ditching the healthy habits you worked so hard to create. This may also set you up for an unhealthy cycle — your emotions trigger unhealthy eating, you feel guilty for setting yourself back, and another cycle begins. Stress eating is such a common issue because it works – at least in the moment. You get the hit of dopamine your brain was searching for which feels good now, but the food isn’t doing anything to address the deeper causes of our stress. Because you’re distracting ourselves from the cause, you’re leaving those emotions unresolved which can take a drastic toll on your mental state. Not to mention, you’re creating an unhealthy and unsustainable relationship with food! When emotions threaten to trigger another round of emotional eating, you want to have an arsenal of tips, tricks, and tools to help you stick with healthier coping habits. It may not be as easy as it sounds, but when you’re craving food as a distraction, you have better options! Self-Check In: When you feel the cravings hit, take a moment to pause. Take a few deep breaths, and ask yourself ‘How do I feel?’ or ‘What do I need?’ so you can address what’s really causing the cravings. 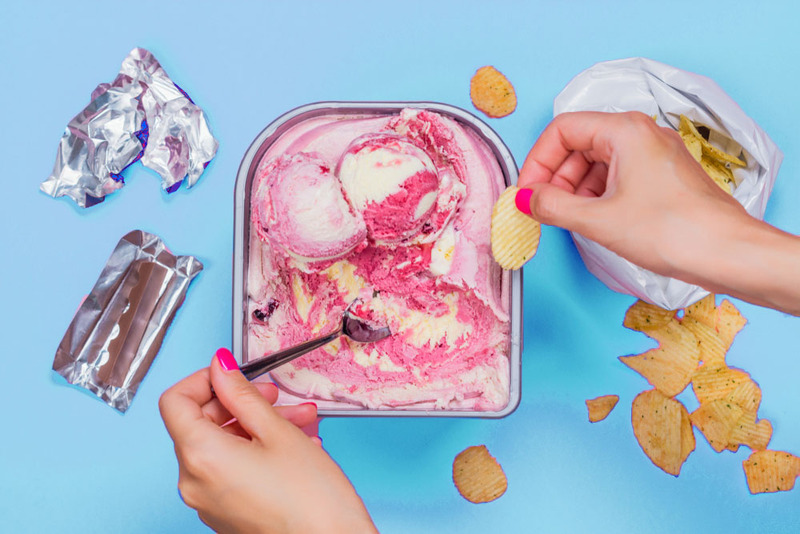 Remember, It’s Okay to Not Be Okay: Emotional eating provides a release when you’re feeling something you don’t want to feel, especially emotions that we don’t think are “okay” to display. When emotions go awry, yourself that it’s perfectly normal to feel sad, mad, scared, tired — whatever it is! Let the emotion come and go, and carry on with your healthy habits. In a study in the Journal of Obesity, mindfulness training helped to reduce the tendency to stress eat. Next time you’re feeling taxed, try incorporating a few mindfulness exercises! These can help you to remain in the moment and be more in-tune with what you truly need to cope with emotions or stress. If you or a loved one feels that they cannot control their emotional eating, please don’t hesitate to reach out for professional help. Here are where you can find additional resources. 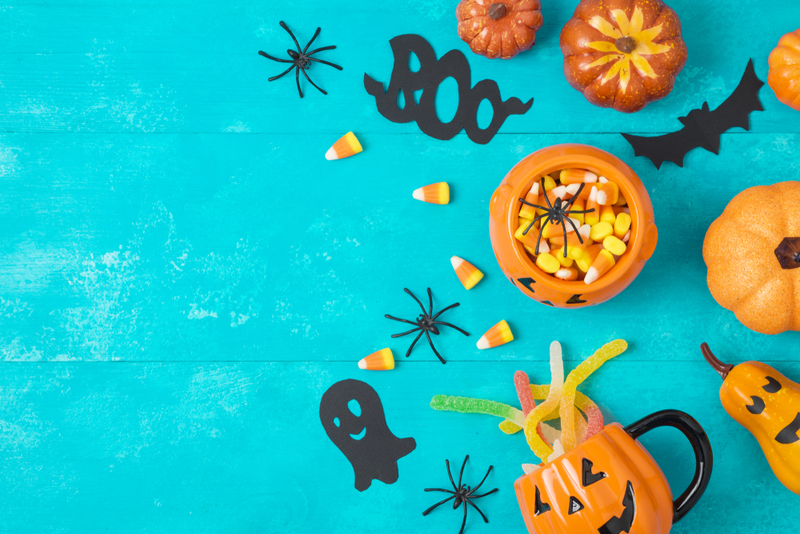 How to Have a Healthier Halloween!